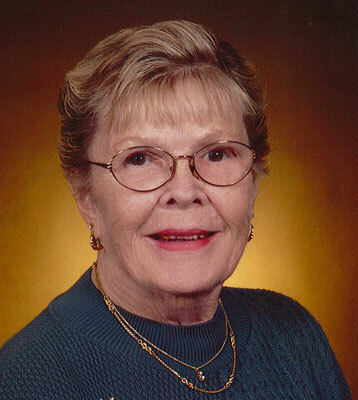 DOROTHEA J. COFFIN BOARDMAN - Dorothea J. Coffin, 81, died Saturday, Nov. 21, 2015, in the comfort of her home. She was born Jan. 19, 1934, in Youngstown, daughter of the late Gilbert and Mildred Scaribrough Rea. Dorothea was a graduate of Boardman High School. She was employed as an X-ray technician with Northside Hospital and also spent time working at her father’s drug store, Rea’s Pharmacy for 30 years. She was a member of the Bethel Lutheran Church, where she was a involved with several organizations, including the senior choir, the prayer chain and the Sara-Ruth Women’s Circle. She was also a member of the Colony Dance Club and enjoyed bowling, golfing, gardening, vacationing in New Jersey and spending time with her grandchildren at Disney World. She leaves her husband, Earl Thomas Coffin, whom she married on Dec. 5, 1953; two daughters, Debra Lee Coffin and Susan M. Haynes; her son, James R. Coffin; four sisters, Virginia Williams, Kathy Weaver, Bonnie Casey and Heather Schloss; her brother, Stewart Rea; five grandchildren; and three great-grandchildren. A memorial service will be held on Saturday at 11 a.m. at the Bethel Lutheran Church, 425 Crestview Drive, Boardman, OH 44512, with Pastor Richard Kidd officiating. Visitation will be prior to the service from 9:30 to 11 a.m. at the church. The Davis-Becker Funeral Home in Boardman is handling arrangements. Contributions may be made to Hospice of the Valley, 1120 Village Plaza, Columbiana, OH 44408 or to the William Rea Memorial Library Fund, c/o McDonald Schools, 600 Iowa Ave., McDonald. Please share your memories of Dorothea.